Reflection is always a great way to end a year and welcome in the New Year. It’s always important to take a few minutes to recap the year’s events before moving on to planning big audacious and shiny new goals for 2014. I hope you have something exciting planned for 2014. Here is a roundup of some of the posts and events that brought great success to The Armchair Genealogist this past year. You can be sure we’ve got some great things lined up for 2014. Thank you for joining us this past year and being such loyal readers. 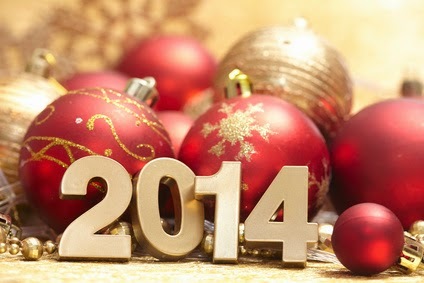 I look forward to bringing you more great posts and events in 2014. If you’ve missed any of the more popular posts from 2013 here’s the shortlist. Four Steps to a Family History Timeline, no question timelines are wonderful tools and we love to use them. 7 Tools for Your Next Family History Interview, don’t forget our free ebook we gave away this year, The Complete Guide to the Family History Interview. The Scrivener Tutorials were very popular. I love to see so many grabbing hold to Scrivener for family history writing. There will be more videos forthcoming in 2014. A 10 Step Plan: Getting Sources and Citations Under Control – this one you really really loved! Last but not least, The Family History Writing Challenge – What fantastic participation we had in 2013. And 2014 is shaping up to be the best yet! You’ll find some highlight posts from last year here. For those of you who wanted to learn more about storytelling Turn Family Lines to Storylines was popular. Many of you joined our monthly newsletter Storylines where you found motivation, education and inspiration for your family history storytelling efforts. If there is anything specific you would like me write about in 2014 I would love to hear from you in comments or drop me a line at lynn@thearmchairgenealogist.com.